The Most Trusted Party Rental Company In Toronto. If you’ve landed on this page and your request is urgent, please call our Higgins Hotline at 416-252-4050 (Monday – Friday 9 am – 5 pm, Saturday 8 am- 12 noon). Are you looking to host a private event, social event, festival or a corporate special event? Higgins Party Rentals is a family operated Toronto based business with over 33 years of experience. 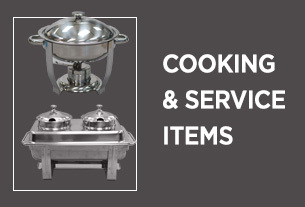 We serve thousands of caterers, event planners, home owners and designers in Toronto Ontario. Our team consists of 60+ employees who truly care about the outcome of your event. It’s in our DNA. Higgins has a carefully chosen dream team that can handle everything from helping you with your event planning, logistics, warehousing and delivering to making sure that your guests are truly experiencing the outcome you truly desire. With Higgins Party Rentals, you’re not only in the right hands, you are also taken care of when emergencies happen. While price often matters, we also know that what matters most is creating the perfect experience and vivid memories that last. We can’t even begin to count the thousands of hours of experience our team has in assisting party planners in designing outstanding events. Our team is highly-trained to help you with details you may have missed and we can also predict your needs. Details truly matter. This is why one of our company’s core values is to Always Highly Value the Details. 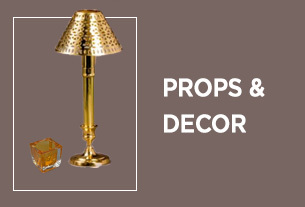 You can also enjoy the comfort in knowing that you have more than 1,800 party rental items to choose from. 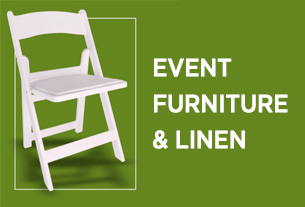 We have everything from furniture to tent rentals, dishes to linens, dance floors to port-a-potties…it’s all there. We have everything you need in our warehouses – and several trucks on stand-by. When you have a challenge after office hours (link to contact page), don’t worry – you’ll have access to the Higgins Emergency Hotline: 416-252-4050 X.4! Yes, we are the Higgins Event and Party Rentals family you can trust. Toronto brides, party planners, private events, corporate event planners, film and TV producers, cultural event producers, non-for-profit and fundraising event producers may wish to visit our SHOWROOM and have a no-obligation consult with one of our team members about your next event. Party Rentals is our Core Genius. You can select from Higgins Party Rentals Toronto or outdoor and tent party rentals. Yes, our team can help you select the perfect venue from the Higgins Preferred Venue List for your wedding or other celebration. We can provide you with a list of the Top 50 Caterers in Toronto or the Higgins Preferred List of Caterers which includes our smaller list of beloved caterers who also provide an amazing experience. 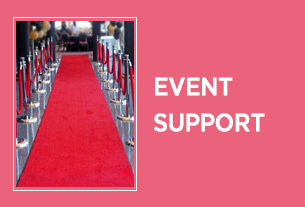 If you need a professional event planner, simply request the Higgins Recommended List of Professional Event Planners. Or ask one of the Higgins Professionals to help you negotiate, plan a menu and even help you with your floor plans and set design. 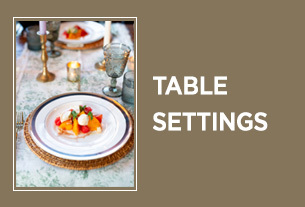 Higgins Party Rentals Showroom includes elegant dishes and cutlery, premium linens, plus a wide selection of tables, chairs and much more. 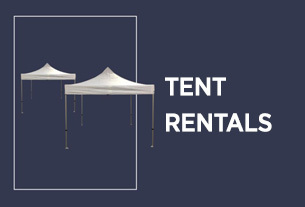 If you need help to select the right size for your outdoor Tent Rentals Toronto, push here or call us at 416.252.4050. Client Feedback: We Love our Clients, And They Love Us. We are fully dedicated to our client base. When you rent through Higgins you can be assured that we will do everything we can do to ensure that your event goes off without a hitch. When you’ve been doing it as long as we have, you learn a thing or two. “The color was a perfect match. The client will call you later today with her credit card #. We’re all very happy to be working with the Higgins team. You are truly an outstanding team. What’s also been terrific – is that all the caterers and chefs have uniformly had incredibly positive reactions when we’ve told them that we’re now exclusive with Higgins! On behalf of my husband and I, we would like to say thank you for all your hard work your company did on setting up the wedding chairs for our day. Everyone loved them and your team was fantastic in moving them. It was honestly very nice not having to worry about that since your people accomplished everything I asked for. Everything went really well and I wanted to let you know that Andrew from the tents was super professional and wonderful with getting everything organized and prepared. Please pass on my appreciation to him. Just a note to thank you for helping make our wedding so special. Your staff helped us plan the table settings and provided the tables, chairs, tents, twinkly lights and everything in between. Everything was sparkly clean and in excellent condition–truthfully looked brand new. Your staff are amazing! Courteous, kind, generous and knowledgeable only begins to describe your team. Thank you from the bottom of our hearts. I have used Higgins Event Rentals for many events – mostly through Jennifer’s Kitchen in Oakville. This past weekend, I rented some table cloths and dishes on my own. My brother was admitted to the ICU and our party had to be cancelled. We were all ready to go with tablecloths unused but on the tables. The dishes were still in the wrapping. I expected that I would still have to pay for the tablecloths but not the dishes. Instead, the young woman at the Oakville office gave me a full refund and was so kind and compassionate. I wanted to let you know how very impressed I was with her kindness and empathy. Let me congratulate you on the quality of your staff. I will continue to use Higgins and recommend them to others. Please tell her that I was very touched by her kindness at a very difficult time in my life. Join The Over 15,000+ Satisfied Customers!